I am participating at the Earth Sculpture 2015 show at the Farley Center. There are 13 installations at the show, which you can visit at any time. The concept is to use resources from the land. 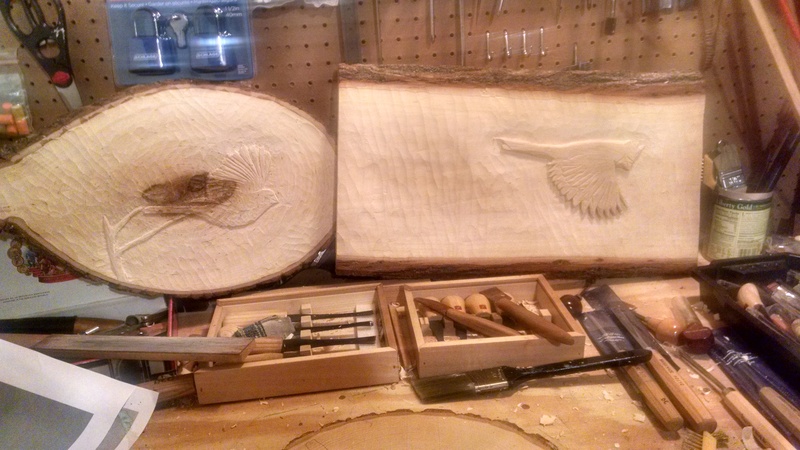 I chose to install two shallow relief carvings of cardinals.